Home / Marketing Strategy / What’s New? Welcoming 2014 also meant welcoming the many predictions out there about the year. From sports, to people, to events and let’s not forget technology, I’m sure you would have come across some of these predictions if you haven’t seen it for yourself yet. Basically, you name it and it’s probably there. The one of interest here is of course, technology, the integral part we can’t live without (or I can’t live without, though sometimes I’d like to think I can but that’s near to impossible). With so MANY technology predictions out there, what have you come across and most importantly, which one strikes you the most? Let’s talk about the obvious here first. We can’t deny that social media will remain as a popular platform and tool for businesses to reach out to customers, and that this will continue to grow. Even trends predict that. For me, I went through a couple which included infographics, lists, charts, etc and what struck me was not the content but rather that these writers are fighting for mine and your attention to read their posts by presenting their data as interestingly as possible! (Much like what I am doing now actually, hoping I’m not boring you with my post. Please keep reading!) With that, I have a prediction for 2014 that is you, dear reader, will be expecting content to be presented to you in ways that could potentially be so creative that you would never even have thought of now. Okay, that’s a terribly written prediction but I’m going to stick by it! It’s a fact that writers online do fight for readers attention and one way to achieving that is through design and presentation of content. No doubt that there are no limits to creativity but when every other business is so saturated trying to get their content out there recognised by presenting their content using design, why don’t you try getting your content out there recognised by presenting your content in a different manner than they are? 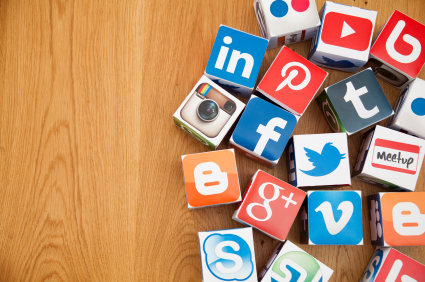 Firstly, count on social media marketing to be the tool that you reach out to your customers. Then comes the next 2 magic words: Content management. What makes content management so special is that it allows you to appeal to your customers according to what they want. It is essentially, marketing to individuals. Individual marketing works because it comes across more personal and individualised such that one can relate to it. Instead of appealing to one’s ability to rationalise making a decision, it also appeals to making the decision in an emotional manner. For those with a business or a company, in one or even thinking about being in one, here’s something that you probably know but need to be reminded again: Being able to connect with the customer is key. As a user of Newzsocial, you get to enjoy your own content management when you create channels and pick articles to read. You are able to curate your own articles, and share them on popular social media sites Facebook, Twitter and Linked in (and even email should you choose to stay away from these sites) where all your friends will be able to see any articles or channels that you curate! It’s 2014! -- Welcoming 2014 also meant welcoming the many predictions out there about the year. From sports, to people, to events and let’s not forget technology, I’m sure you would have come across some of these predictions if you haven’t seen it for yourself yet. Basically, you name it and it’s probably there.